Wang Xiaohua was born in Hangzhou, Zhejiang Province on the 9th June, 1962. Wang was born into a martial family, his father Wang Yongsheng was a famous Taiji Quan master in Zhejiang who was national champion in Yang Taiji in 1980 and the author of a widely published book on the Taiji Jian (sword). At the age of 18 Wang Xiaohua left Hangzhou to live and study in the Qingdao Ocean University. During his six years’ study of oceanography Wang Xiaohua spent all of his spare time studying traditional Chinese boxing and competing as captain of the University team. He began his study of Tanglang under a Taiji Tanglang instructor but soon converted to the superior instruction of Li Zhanyuan after having the good fortune of being accepted as a private student. Wang was lucky in that he trained many long hours in the close confines of Li Zhanyuan's home and got to know his teacher closely. He also regularly trained with his shijie (senior gongfu sister), the champion woman mantis boxer; Qin Guihua. Wang Xiaohua won a scholarship to advance his studies abroad and left China for Australia in 1987 where he studied for his PhD in Oceanography at James Cook University and continued to practice Tanglang and Taiji Quan. Wang took his first students Brendan Tunks and David Cuthbert in 1992 in the Australian Capital Territory where he presently lives and lectures in Oceanography.  Doctor Wang is the honorary lifetime Chairman of the Mantis Boxing Society (Tanglang Quan She) of Australia. Wang is active in the promotion of traditional Chinese martial arts in Australia and internationally. He was named as the principal instructor of Taiji Quan training officer cadets at the Australian Defence Force Academy, Canberra, Australia in 1999 and 2001 respectively. He won a silver medal in the middle-aged men’s category of Tanglang Quan at the 2005 Qingdao International Mantis Boxing Invitational Championships and secured gold medals at both the 2009 Qingdao International Wushu Championships and the 2013 Qingdao Traditional Wushu Championships. Wang Xiaohua is rightly regarded as the man single-handedly responsible for introducing Li Zhanyuan’s Shaolin Jingang Qixing Tanglang to the world beyond the borders of the People’s Republic of China. He is now joined in the family tradition by his sons, studying both under him and Brendan Tunks.